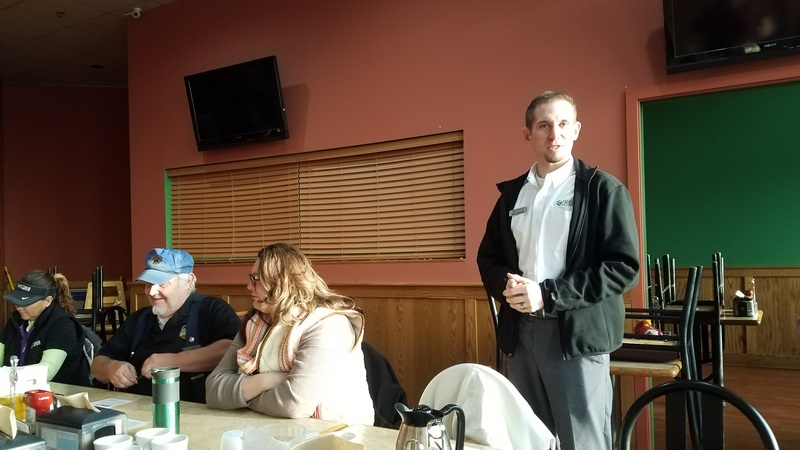 Thank you to Kristin Ferguson, representing the St. Francis Lions Club, for speaking at the November Chamber Networking Breakfast. 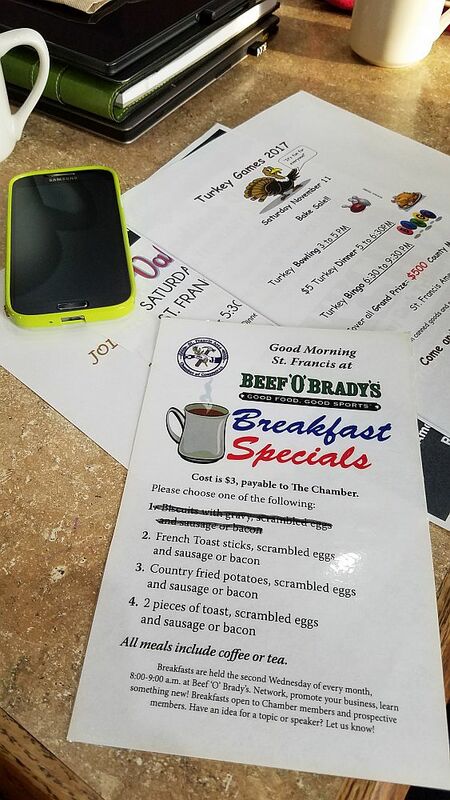 The St. Francis Area Chamber of Commerce holds a monthly Networking Breakfast at Beef ‘O’Brady’s in St. Francis the 2nd Wednesday of each month at 8:00am. 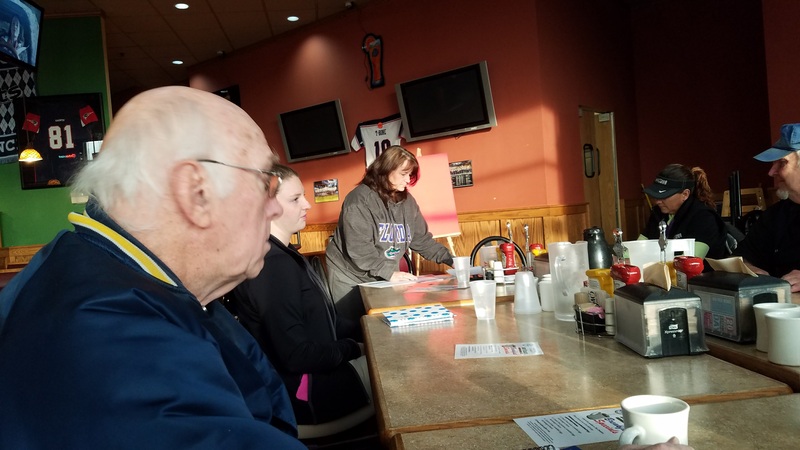 Cost is $3 to attend. 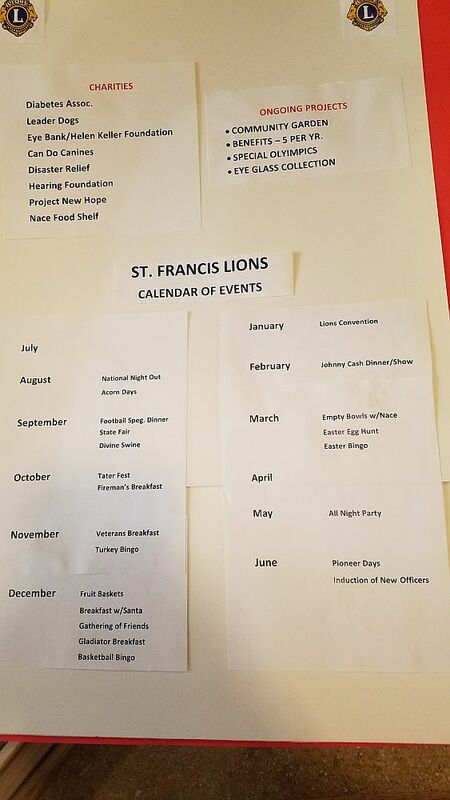 In November, Kristin Ferguson from the St. Francis Lions Club was the Featured Speaker, and discussed the mission and events of the Lions Club organization in our community.